Alfred Colsman, general manager of Luftschiffbau Zeppelin GmbH (LZ) from 1908 to 1929, was a key figure in ZF's early company history. Colsman led negotiations with Swiss engineer Max Maag that resulted in the founding of the Zahnradfabrik in 1915, and was the driving force behind the conversion of the company to a stock corporation in 1921. Colsman himself never paraded his contributions to ZF, however. Although gears and transmissions for motor vehicles were not particularly dear to his heart – in contrast to a globally active airship fleet – Colsman did recognize the long-term commercial potential of the Zahnradfabrik. This was also related to his provenance. The son of an aluminum manufacturer was born in Werdohl (Sauerland) on May 7, 1873. After studying at the Technical University Charlottenburg, he embarked on foreign travels that included trips to Russia, Sweden and Turkey. Contact to airship construction in Friedrichshafen was established after Colsman met the woman who would later become his wife, Helene Berg, the daughter of an industrialist from Lüdenscheid. Helene's father, Carl Berg, also owned an aluminum-processing factory, was an ardent supporter of Count Zeppelin and delivered material for the aluminum structure of the first Zeppelin airship. When Carl Berg died in 1906, Colsman met Count Zeppelin at his father-in-law's funeral. Shortly after the Echterdingen airship catastrophe in August 1908, Colsman went to Friedrichshafen and met with Count Zeppelin, who was still in a state of shock due to the events. Zeppelin asked whether Colsman would act as director of an airship company that was yet to be established. 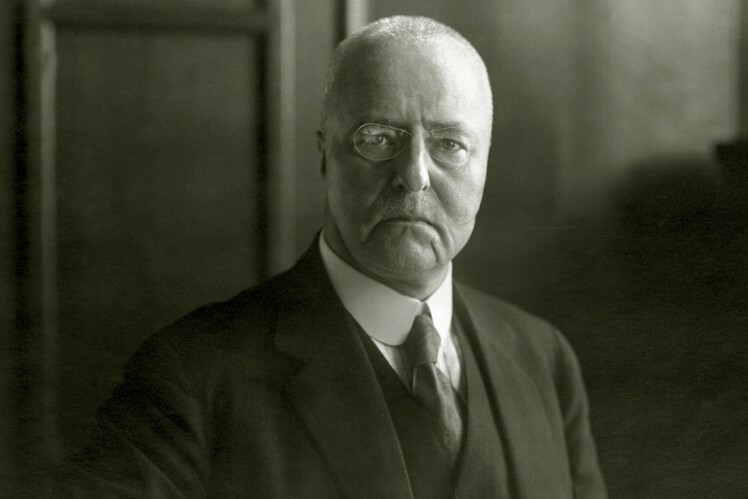 Colsman immediately accepted and thus became one of the key figures in the establishment of Luftschiffbau Zeppelin GmbH and its subsidiaries, among which was also ZF. After disagreeing with Hugo Eckener about the strategic direction of the company, Colsman left Luftschiffbau Zeppelin GmbH in 1929 and returned to his hometown of Werdohl to manage his father's factory. Airship manufacturing came to a provisional end in Friedrichshafen in 1939, but the company subsidiaries founded by Colsman continue to exist. Alfred Colsman died on January 9, 1955.